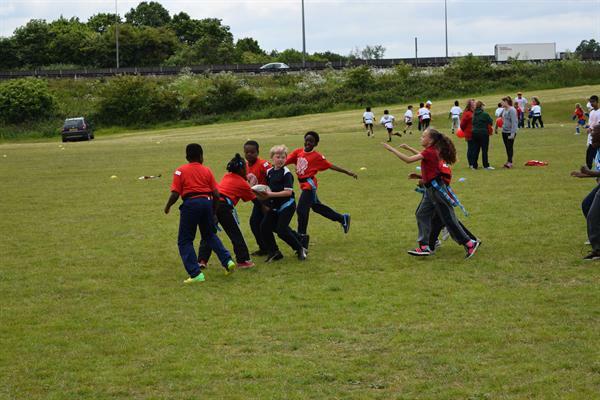 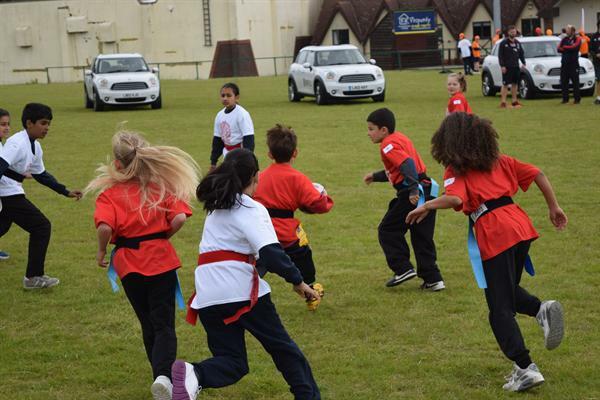 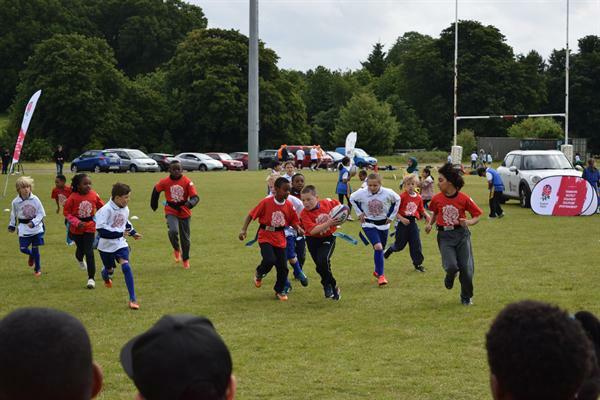 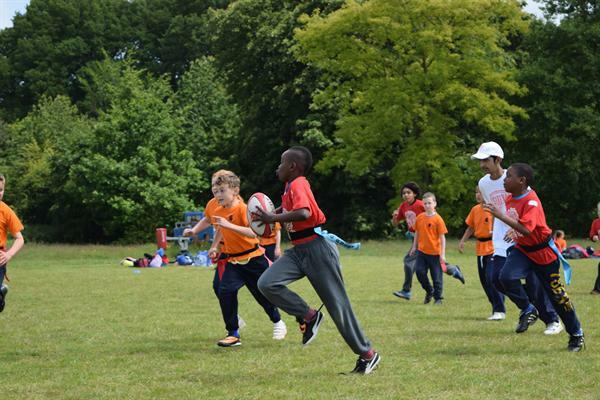 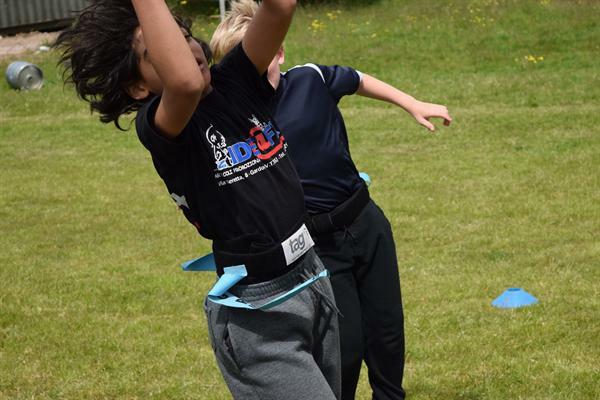 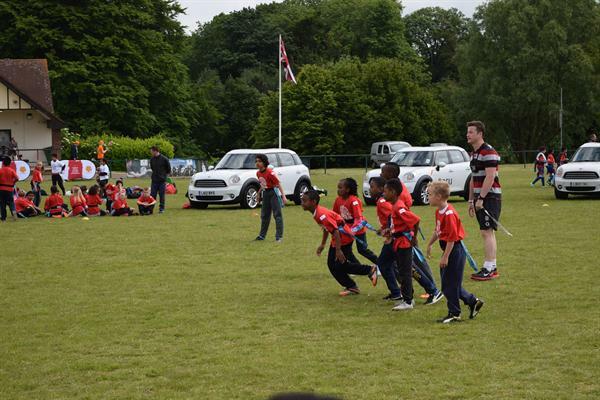 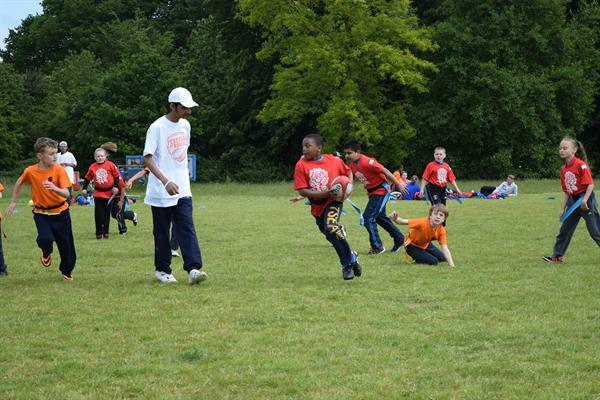 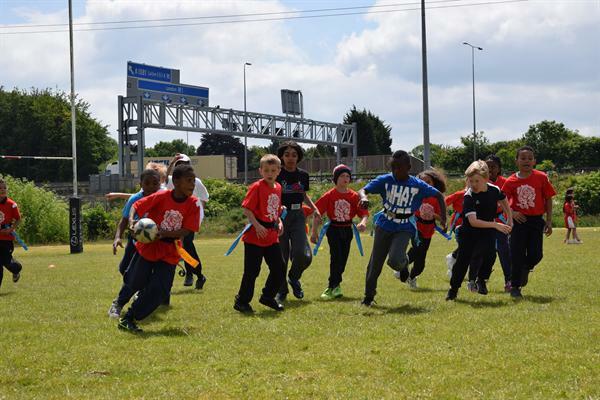 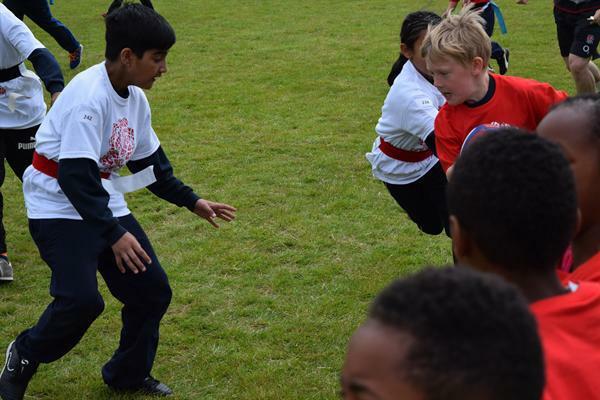 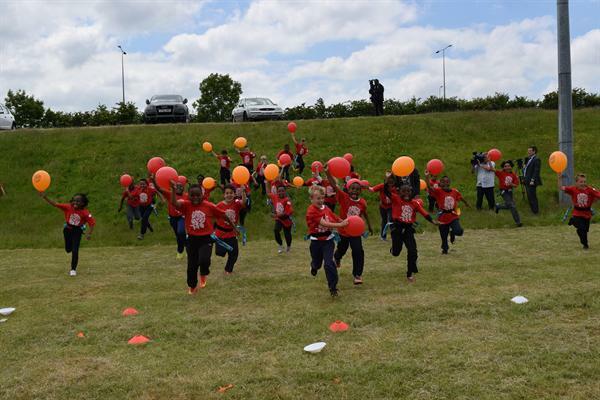 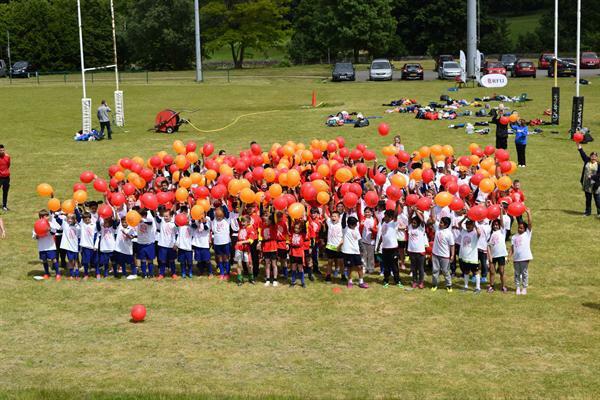 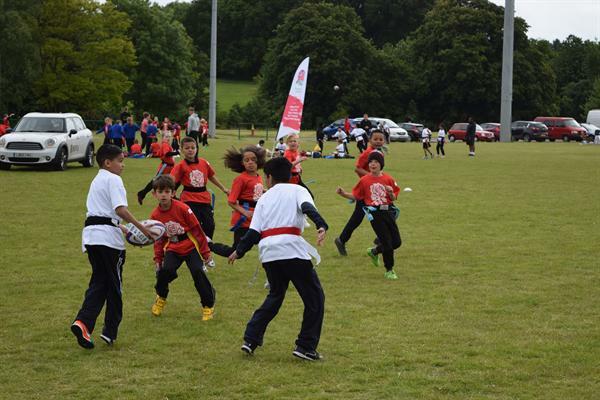 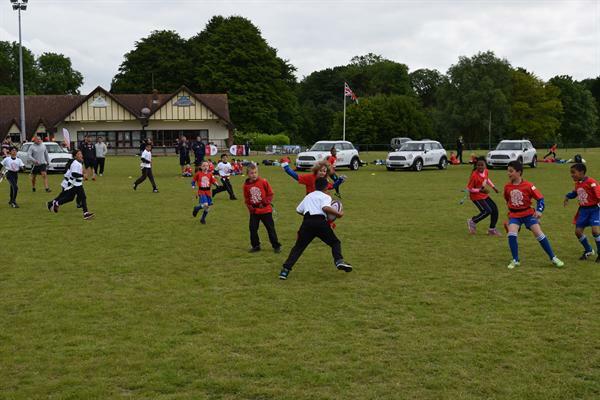 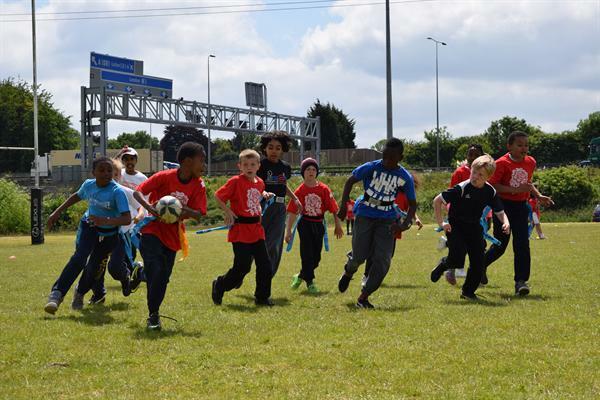 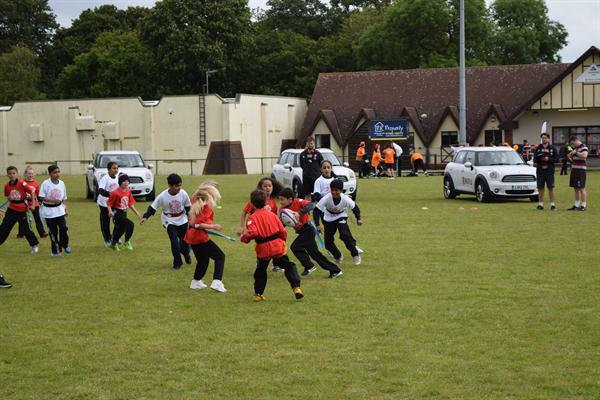 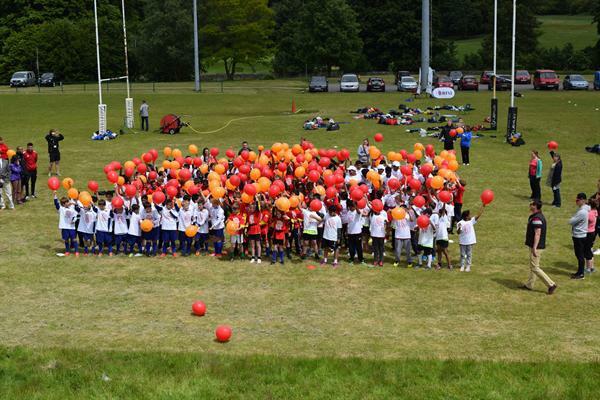 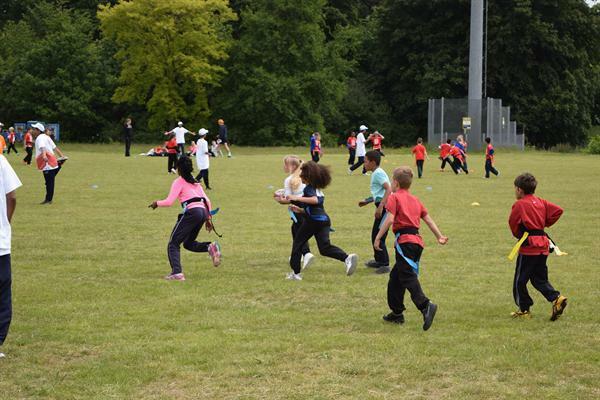 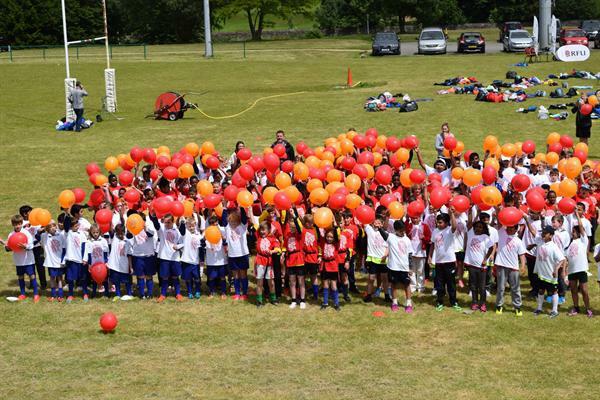 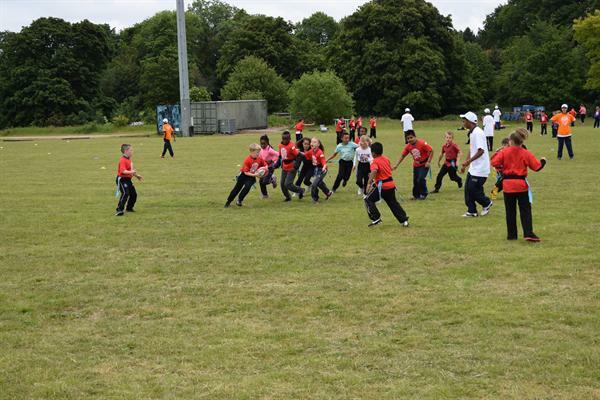 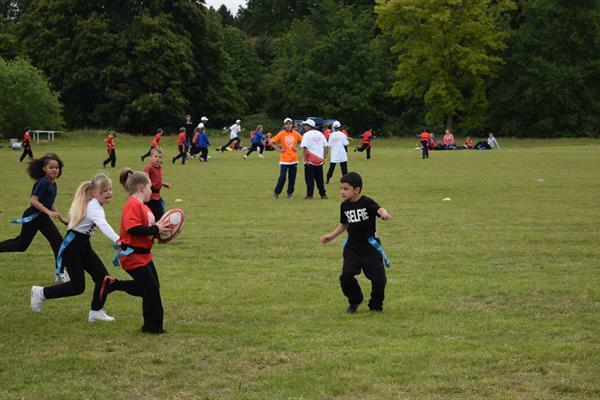 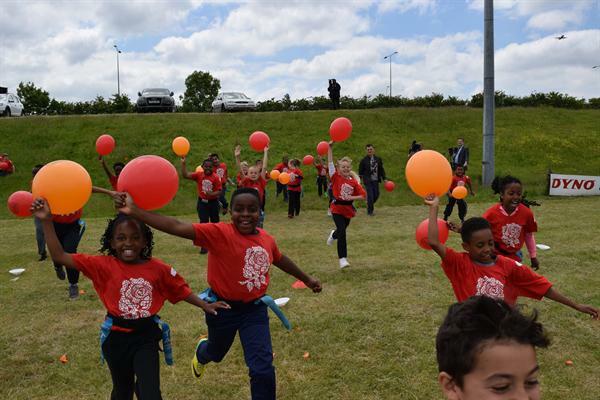 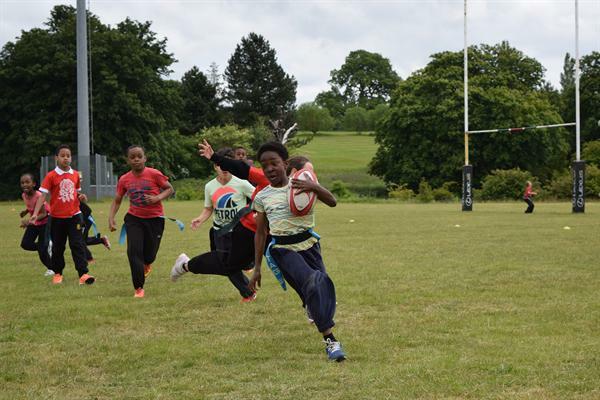 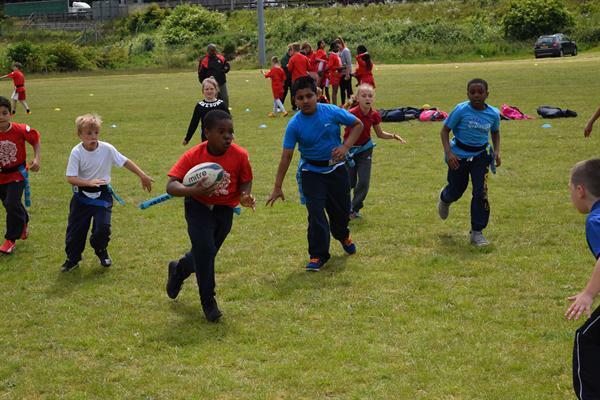 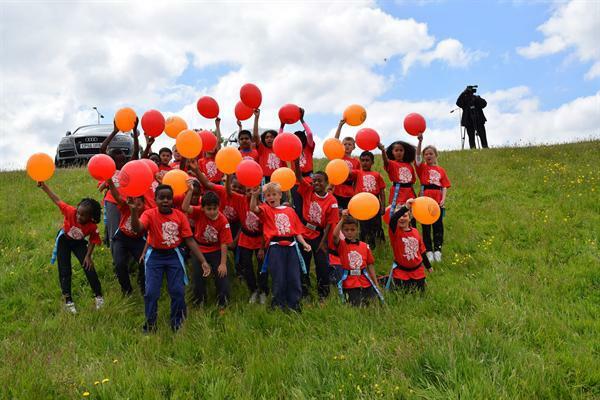 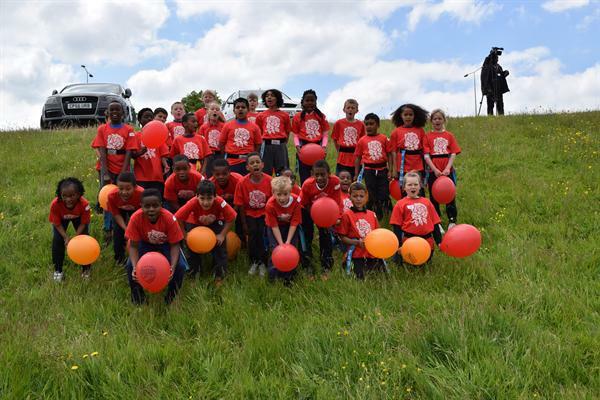 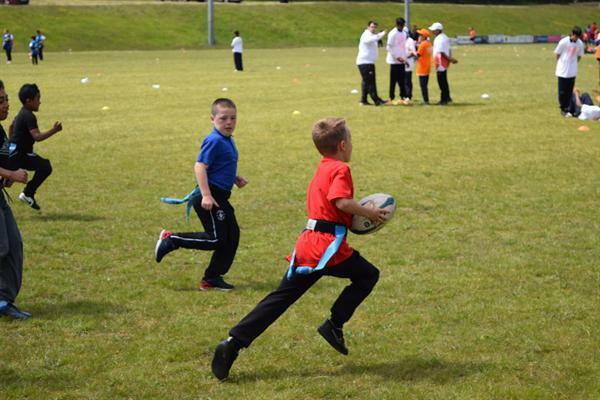 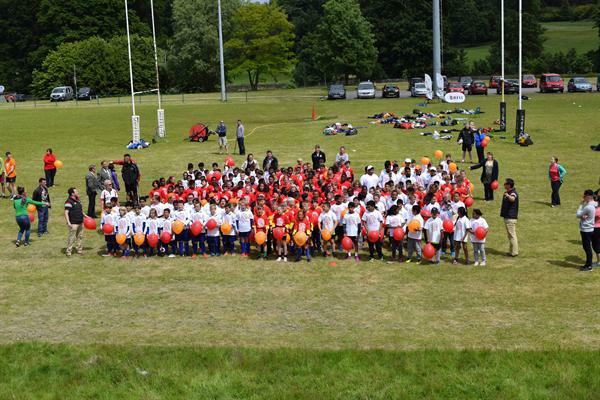 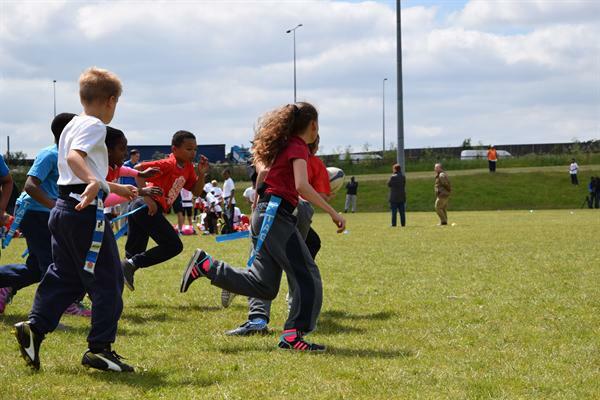 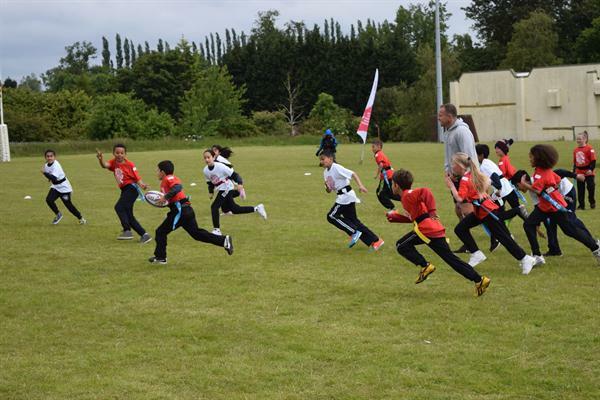 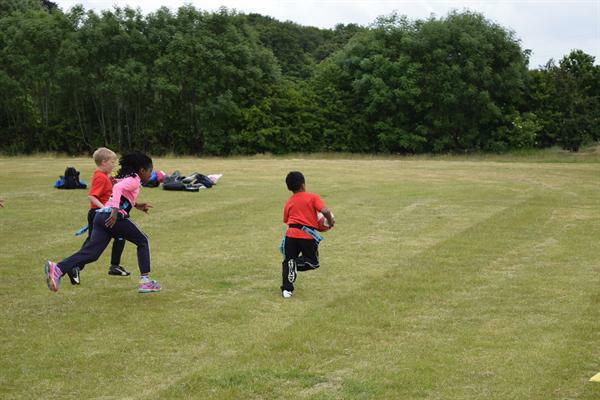 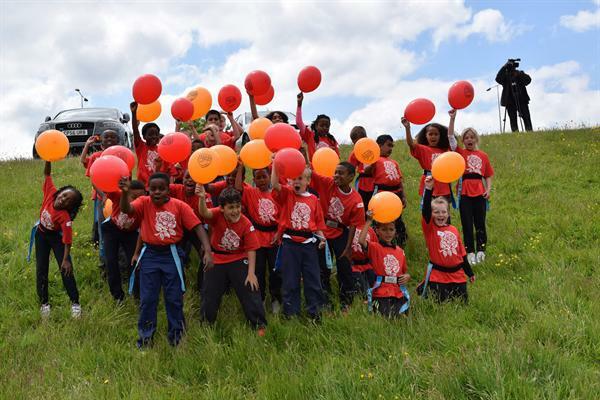 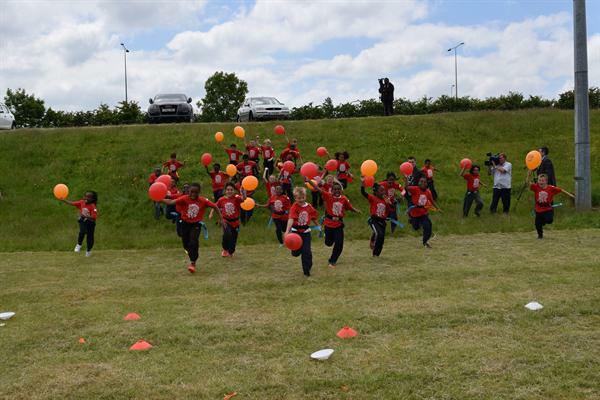 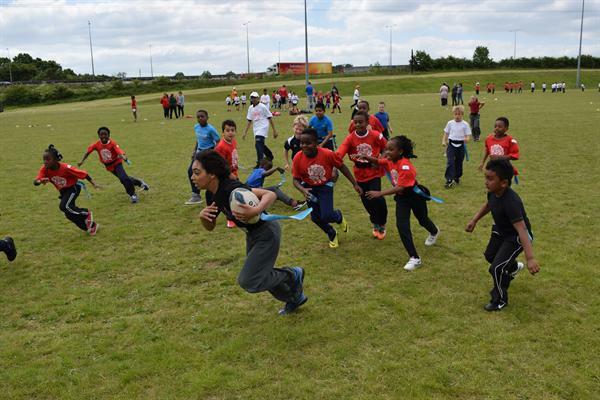 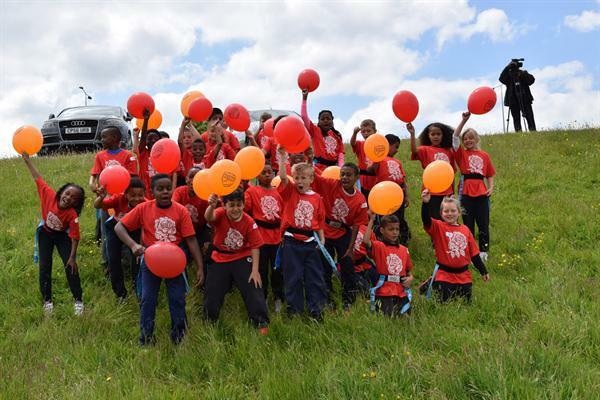 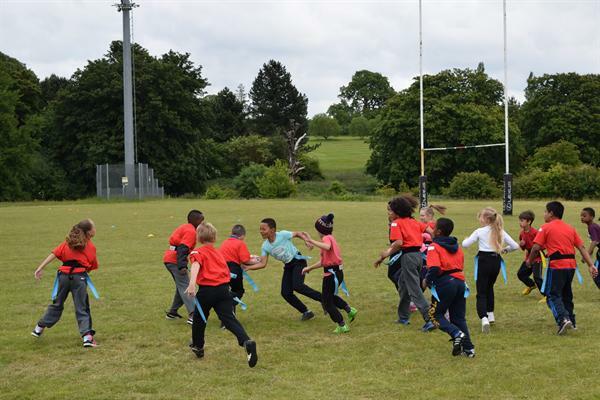 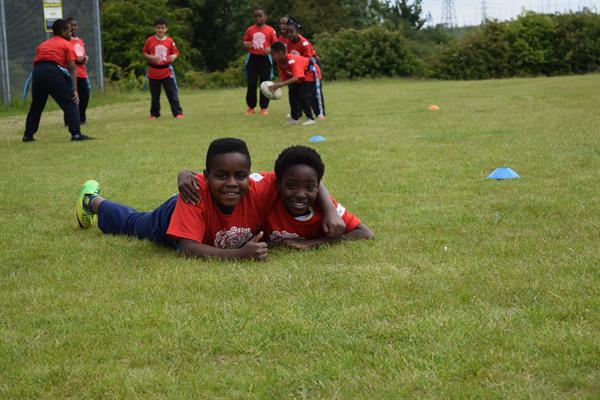 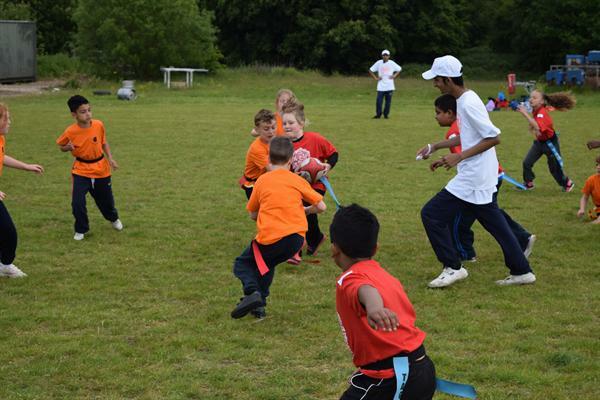 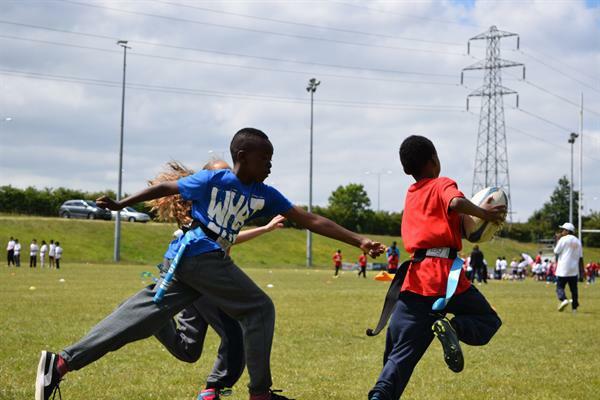 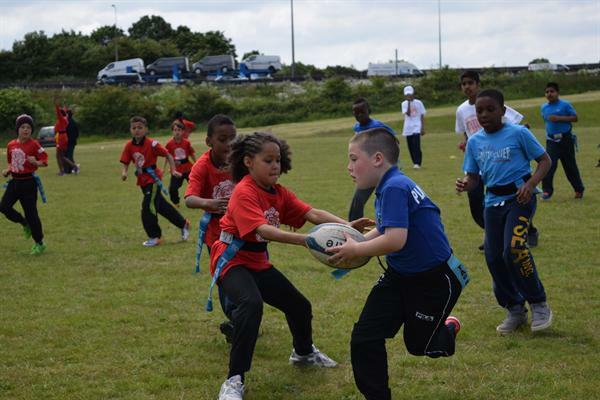 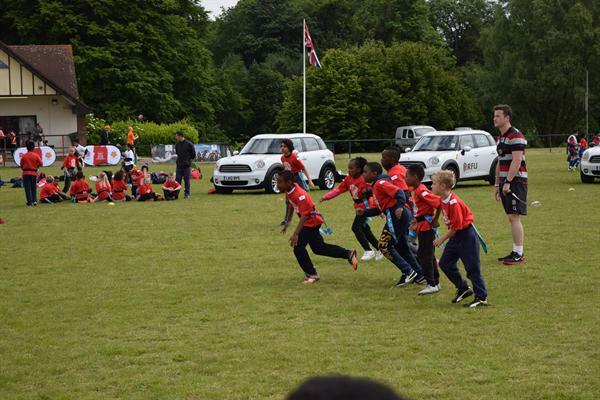 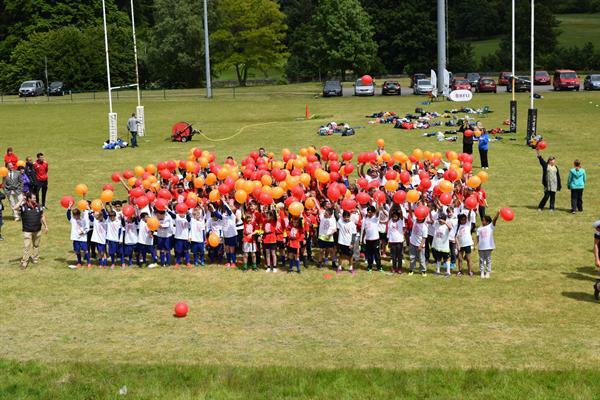 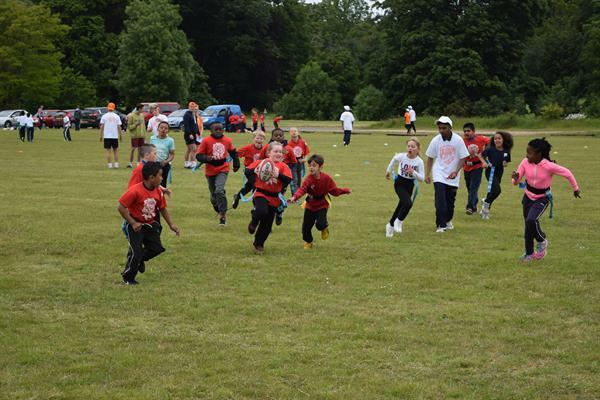 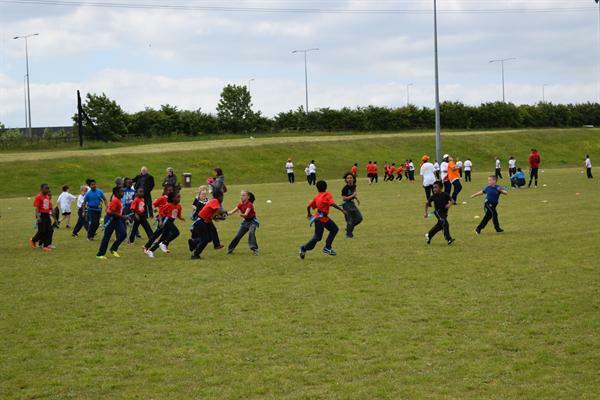 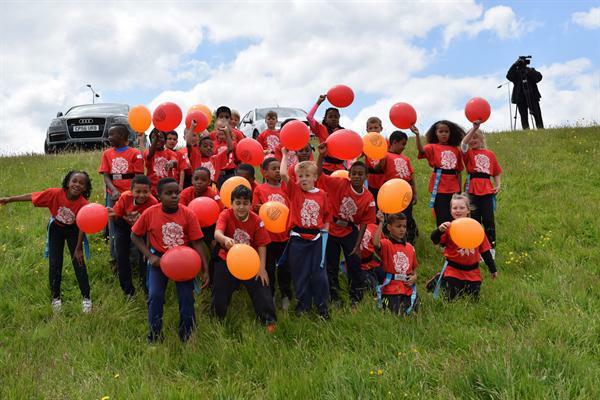 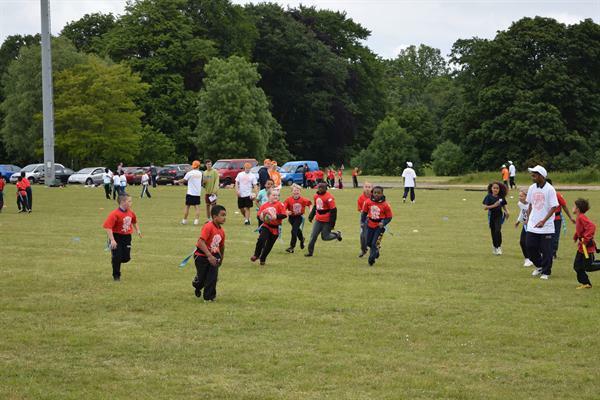 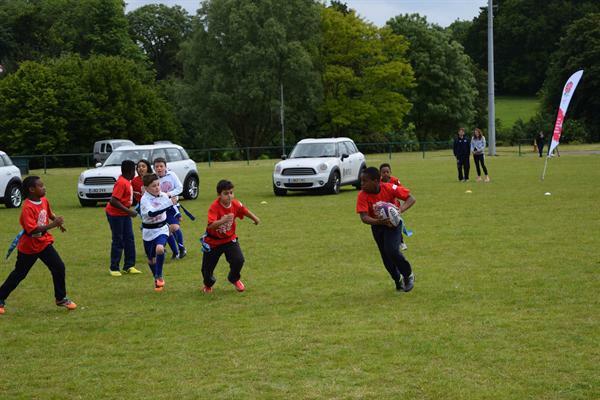 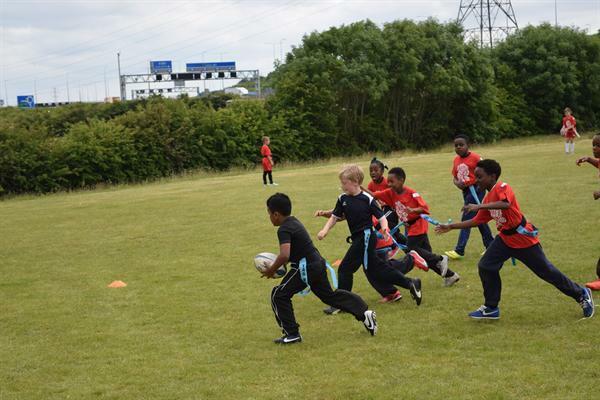 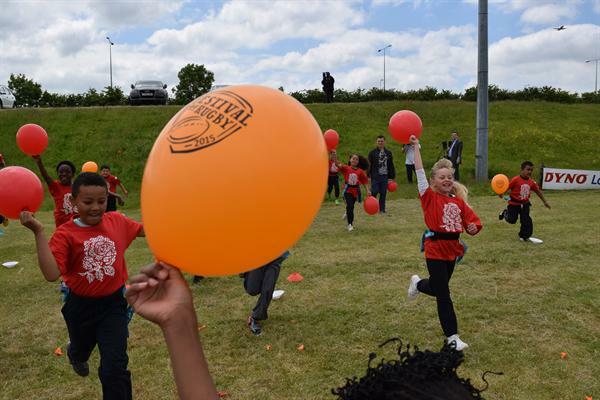 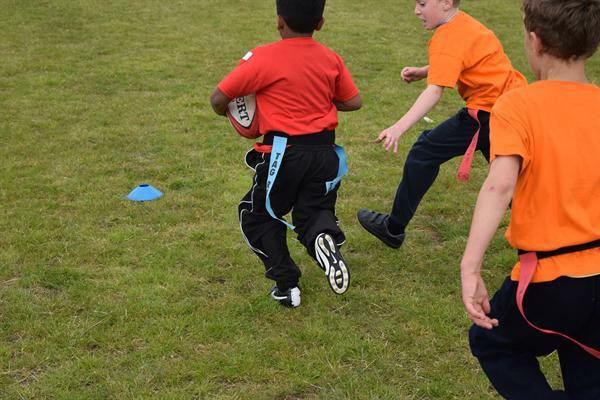 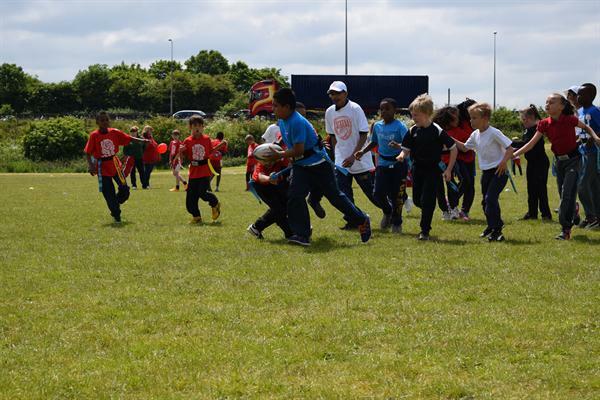 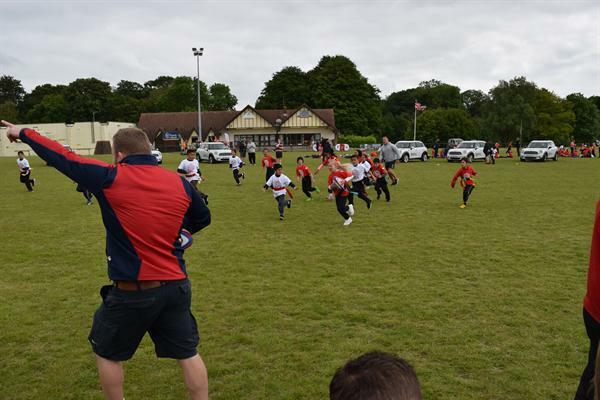 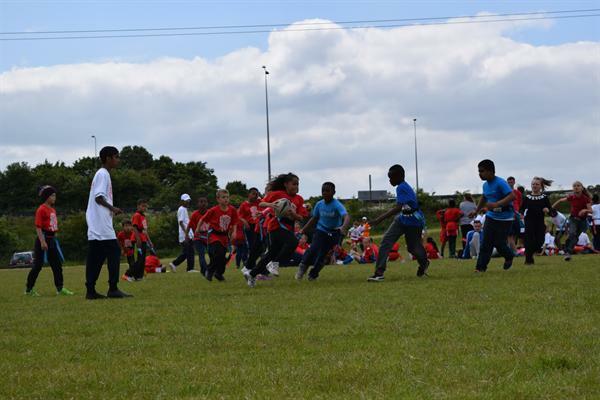 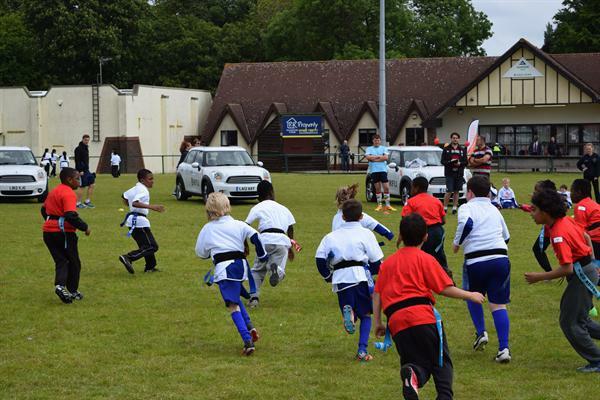 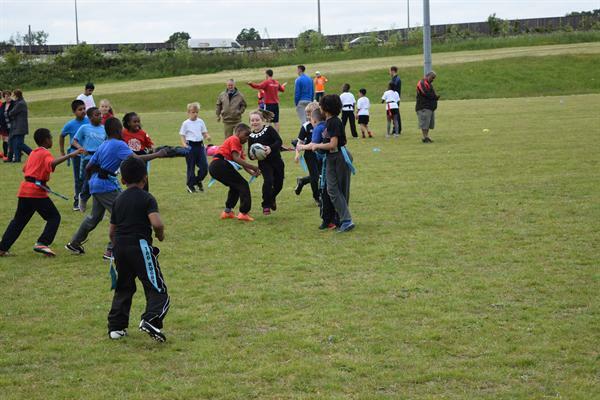 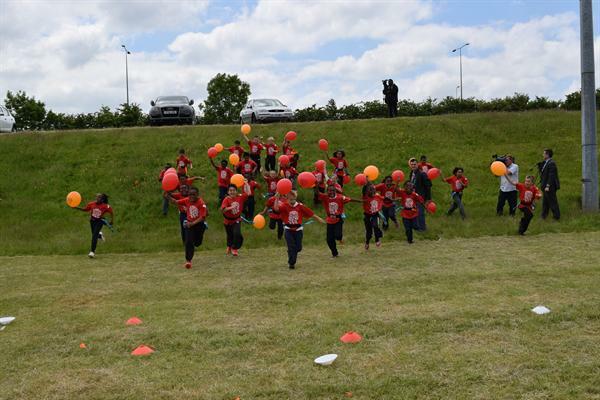 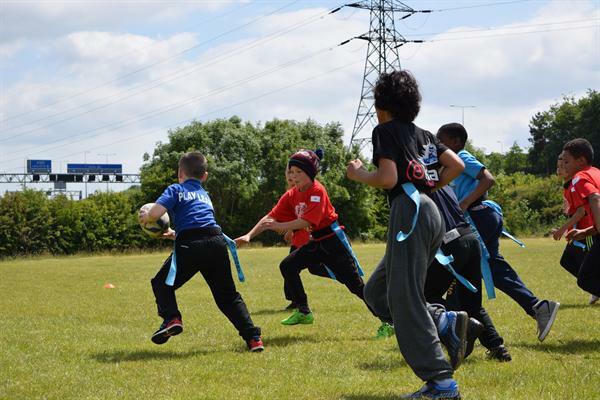 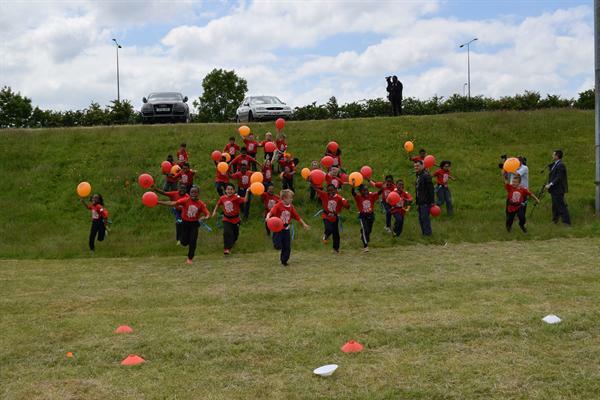 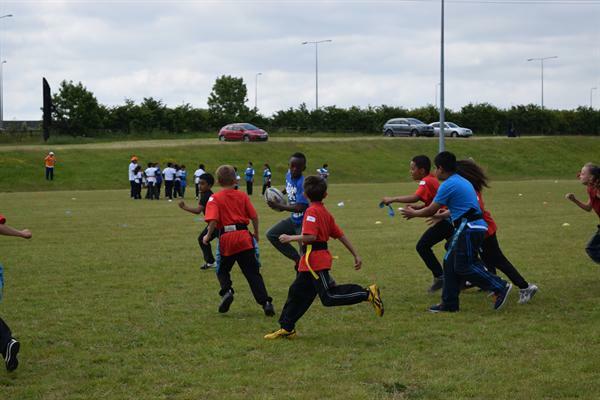 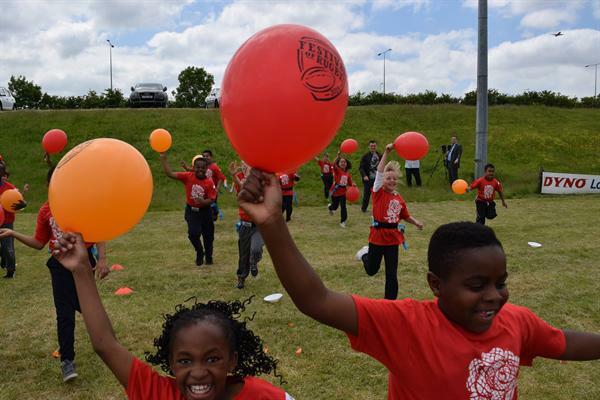 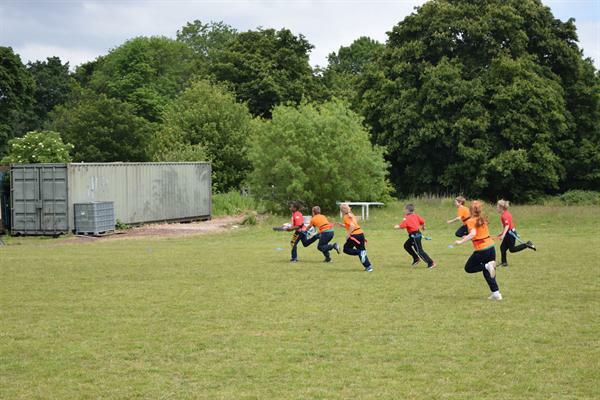 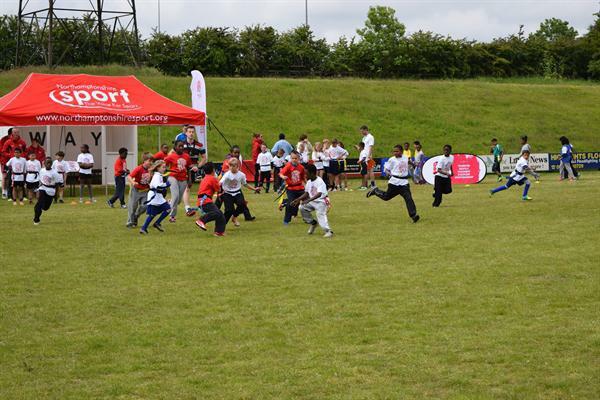 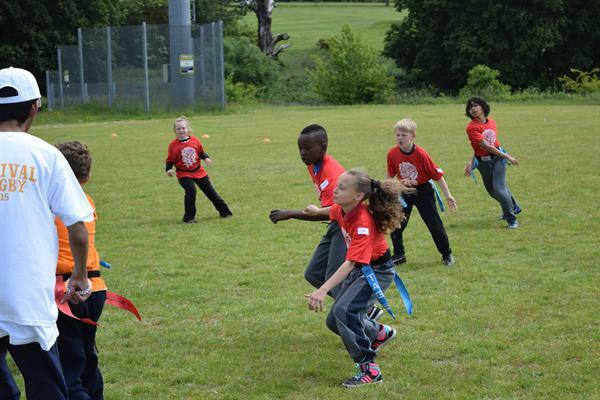 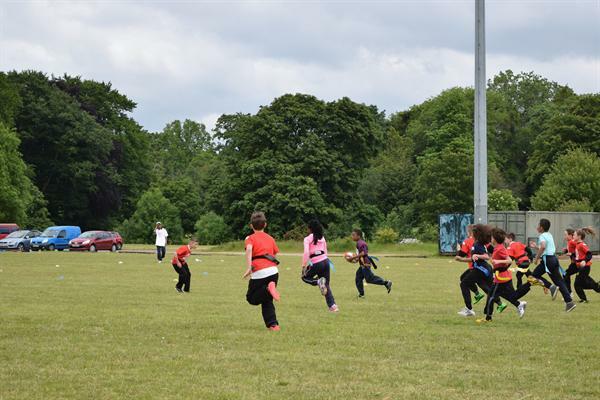 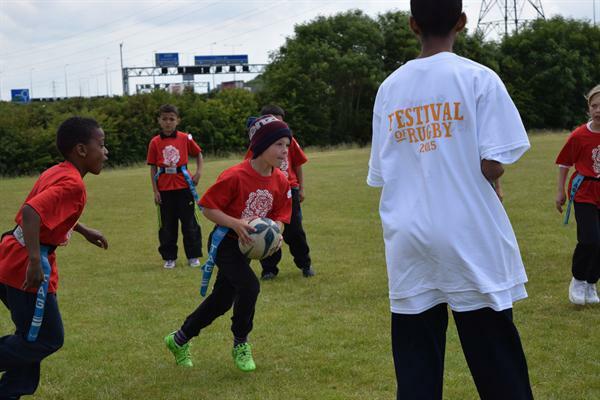 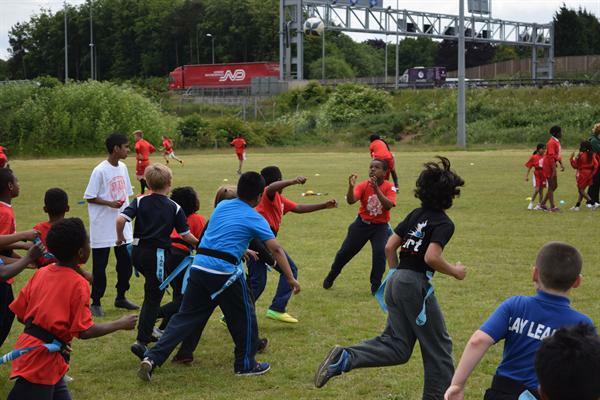 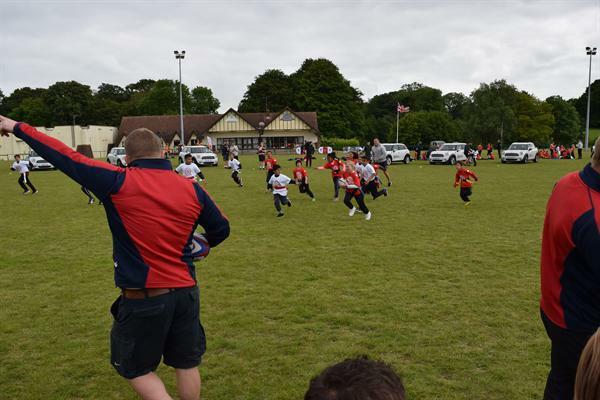 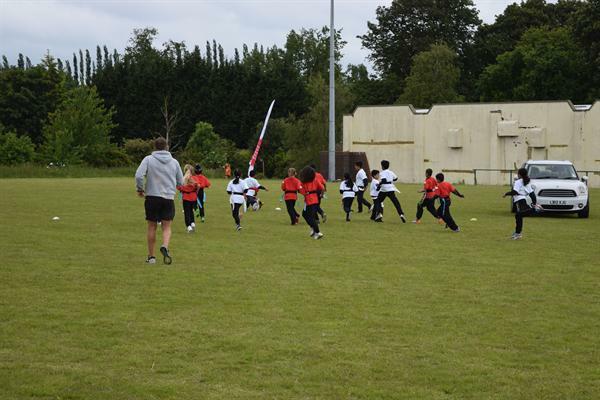 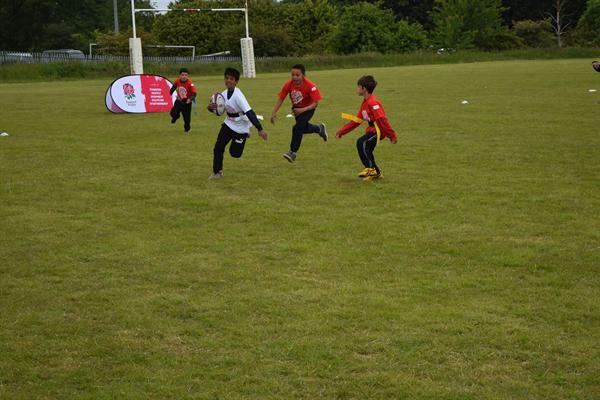 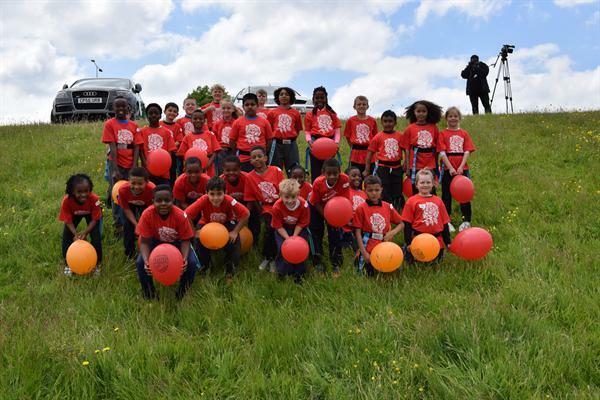 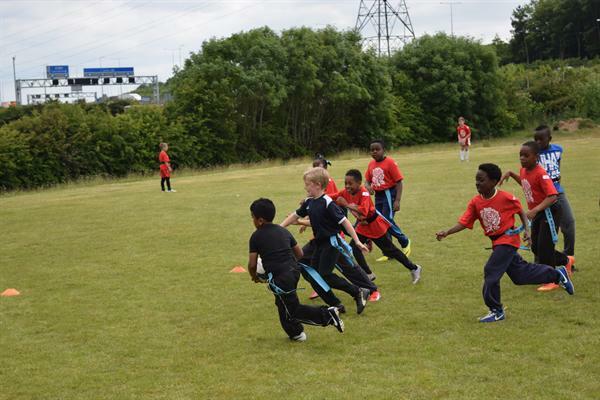 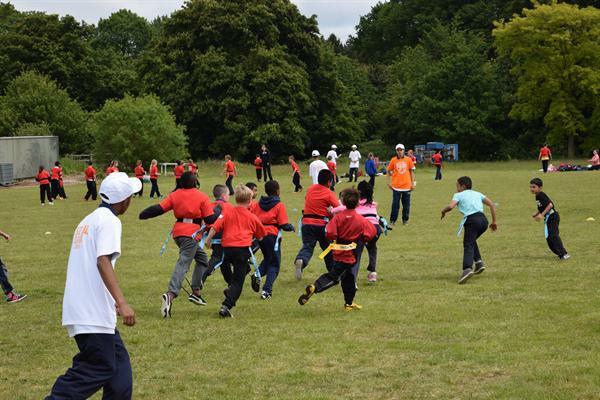 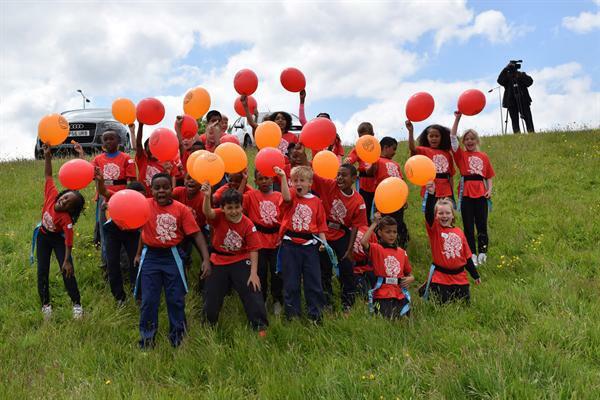 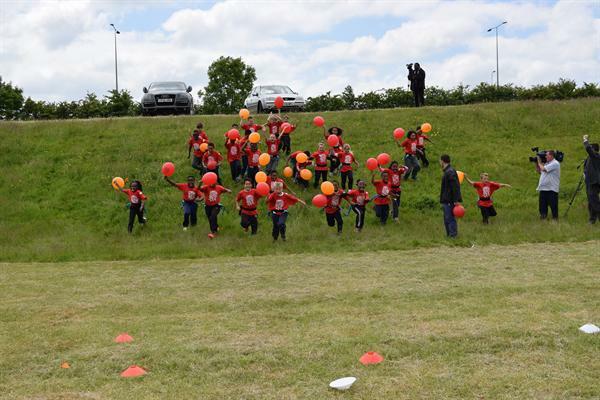 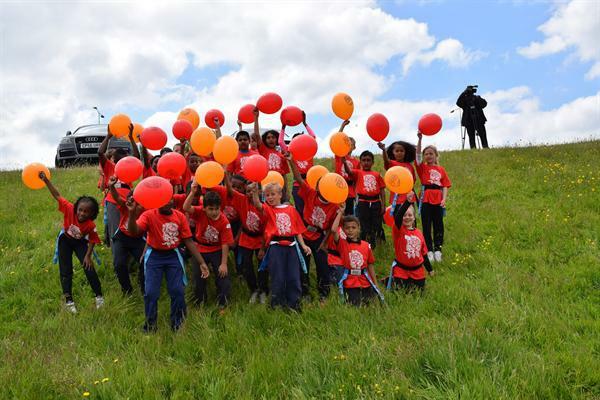 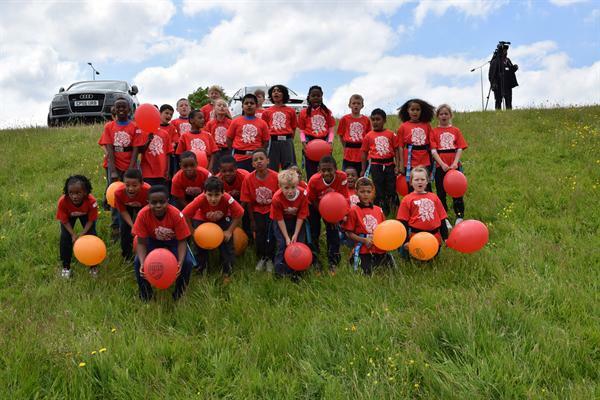 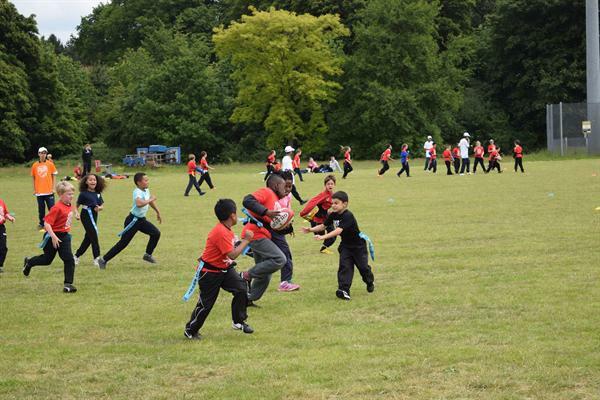 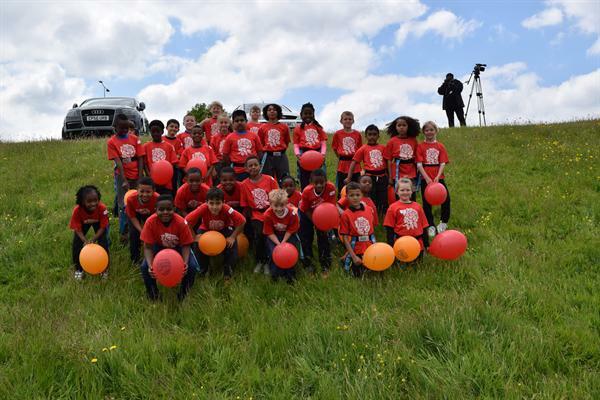 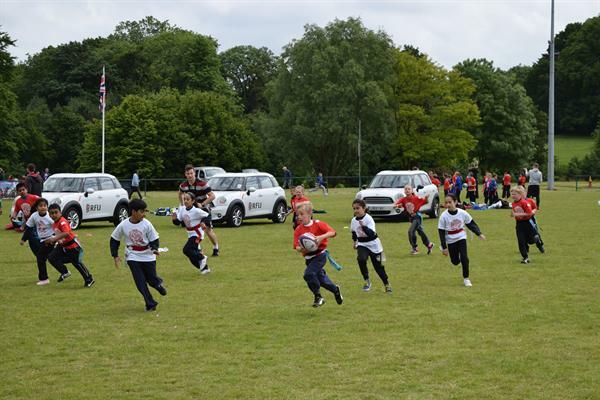 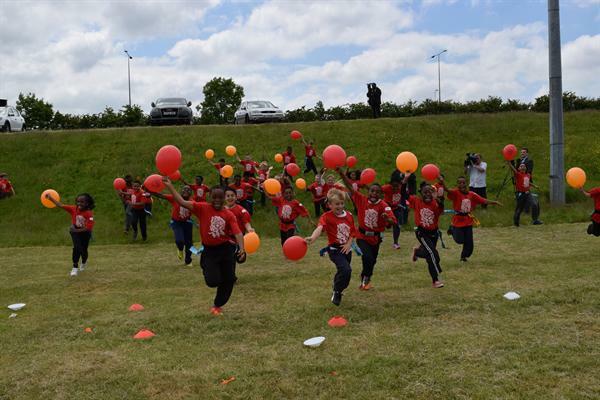 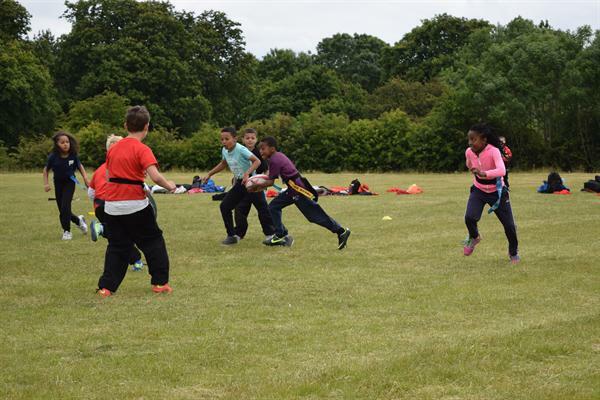 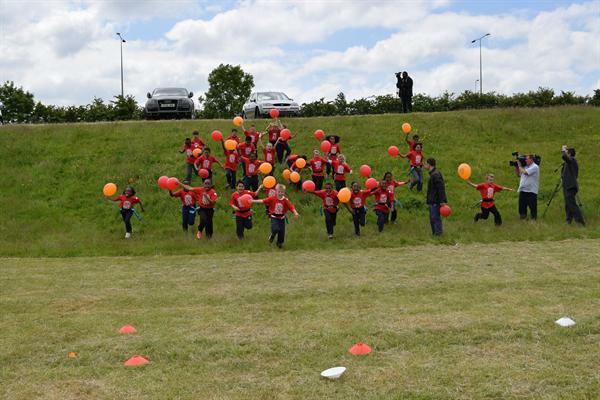 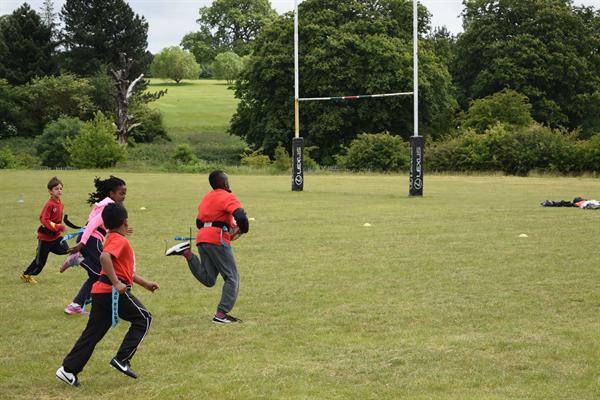 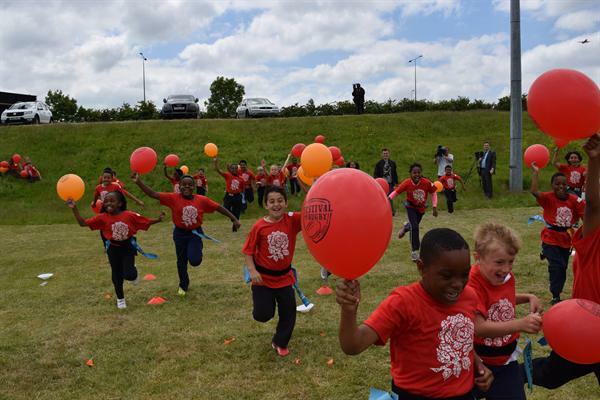 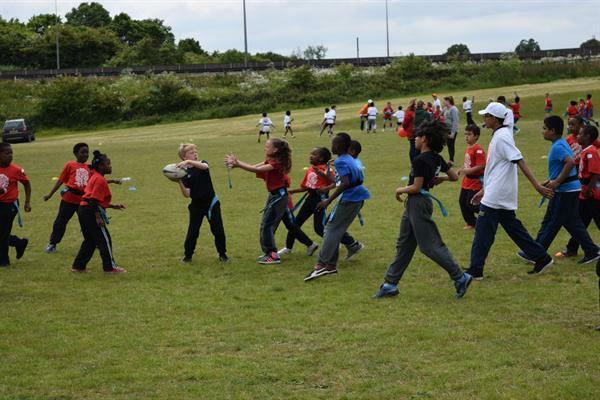 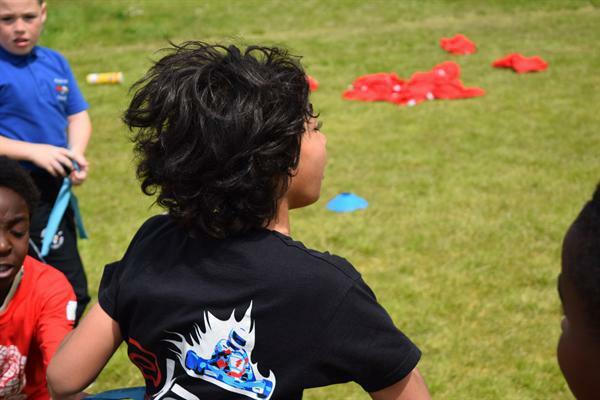 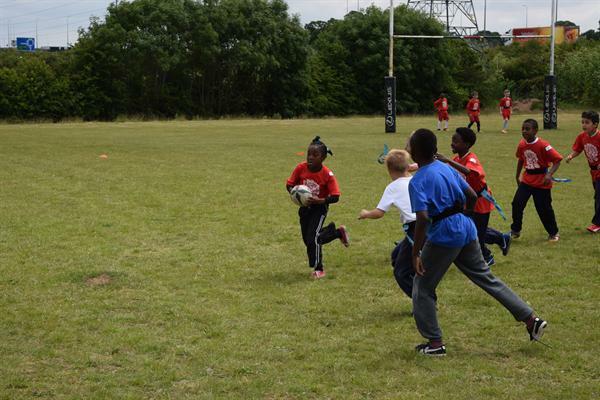 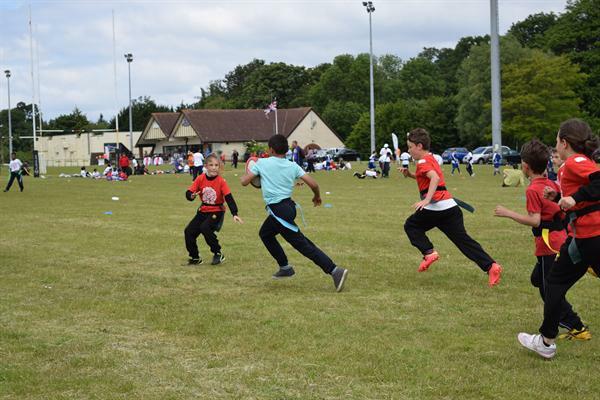 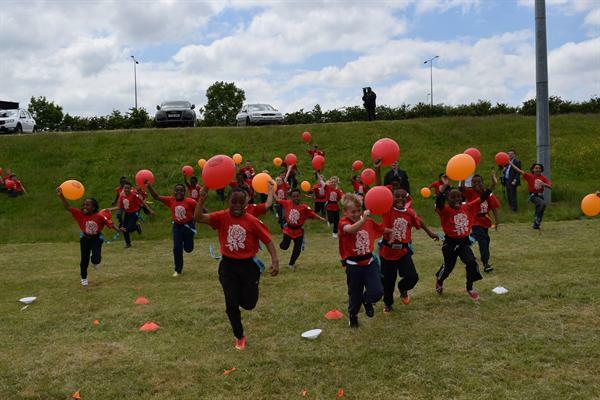 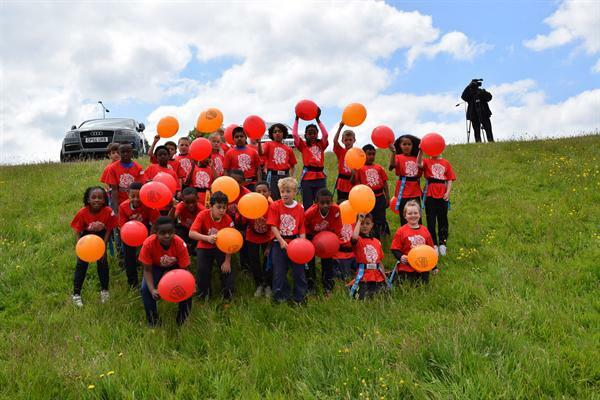 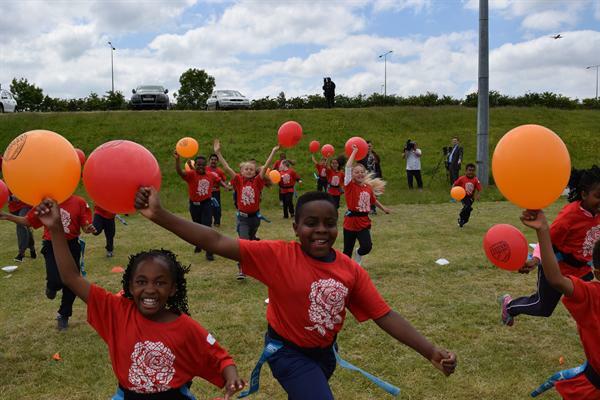 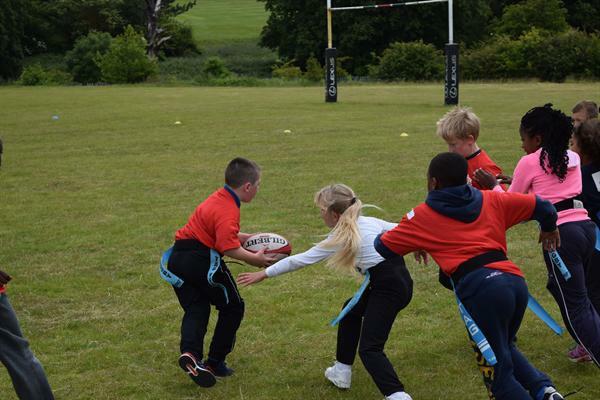 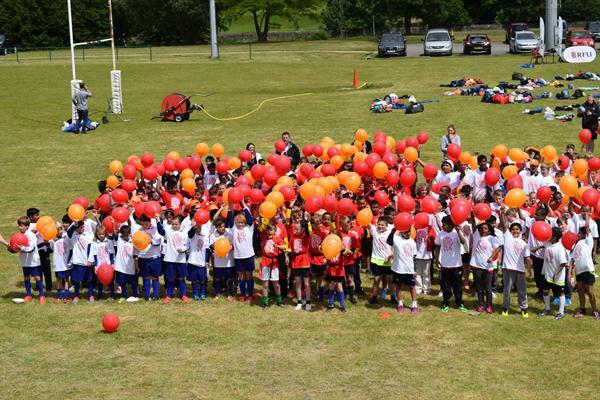 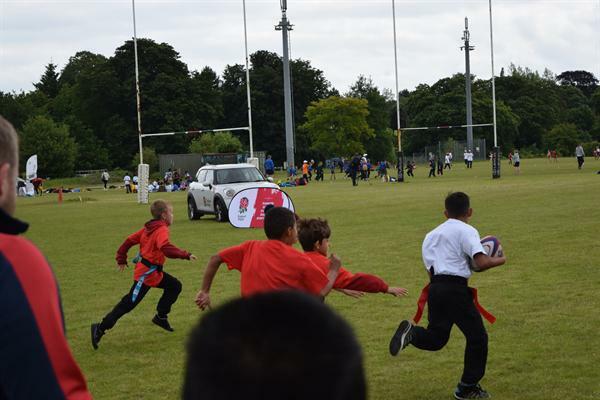 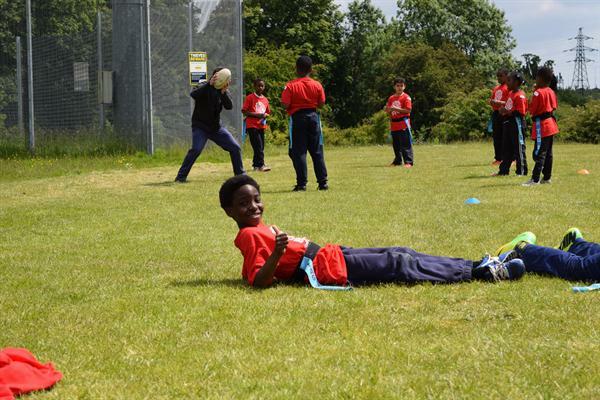 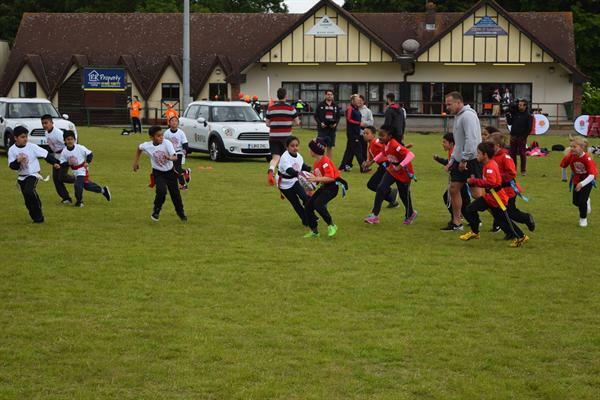 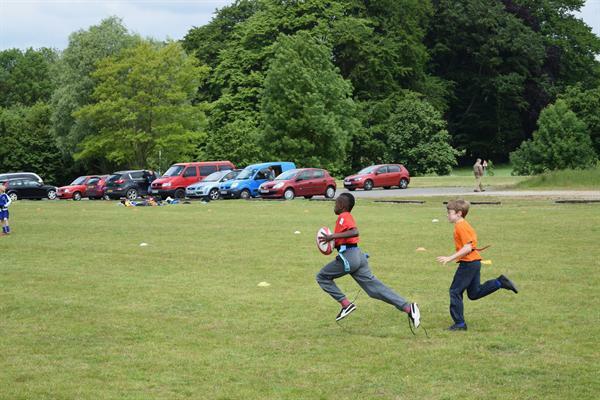 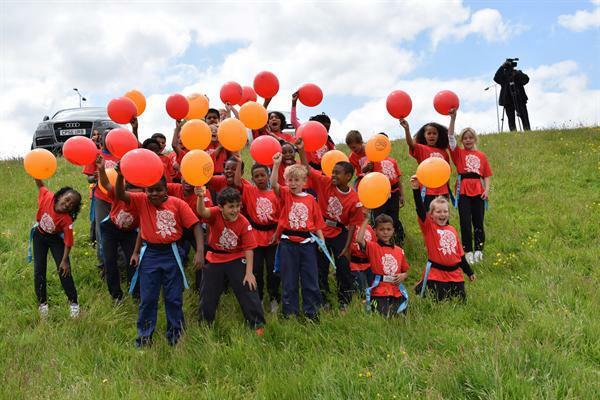 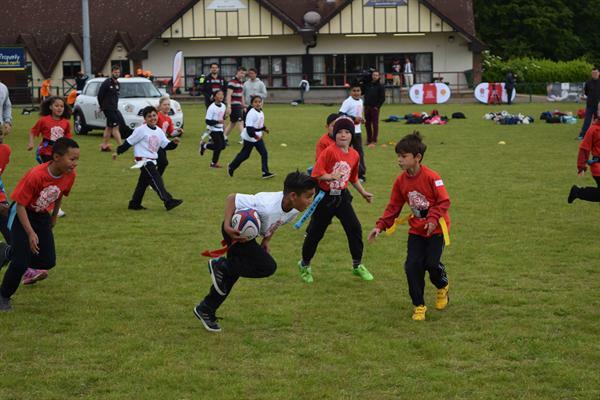 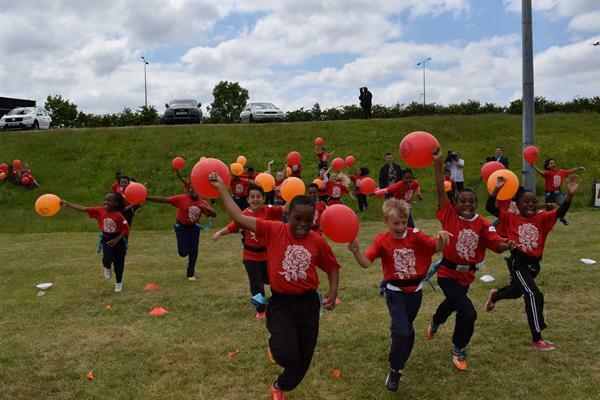 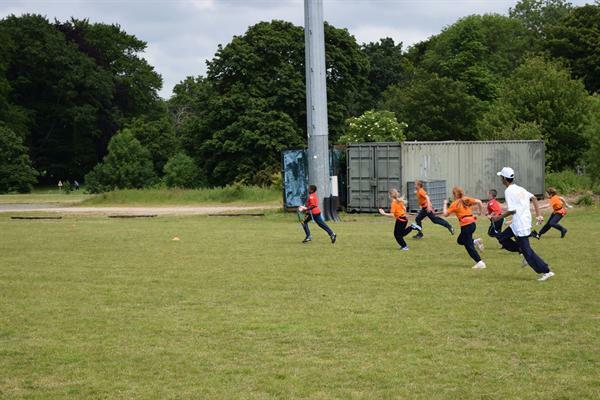 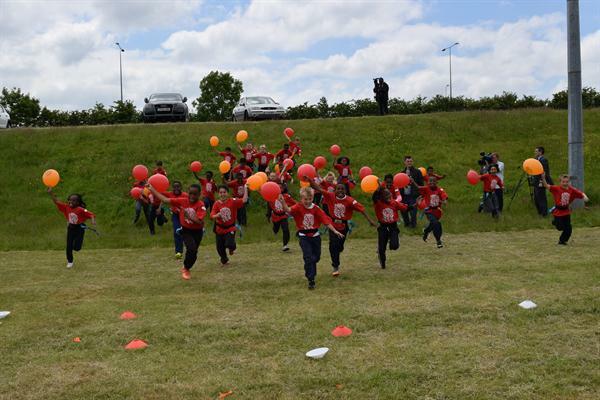 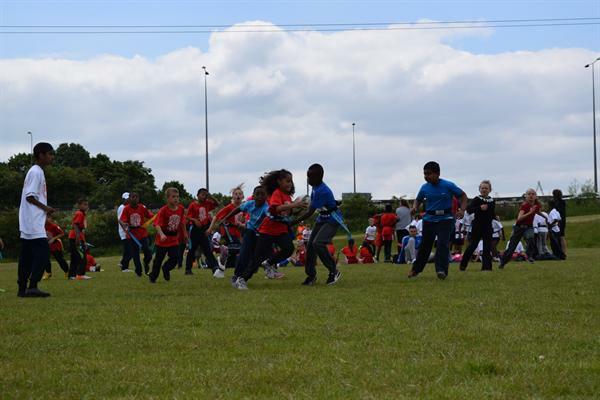 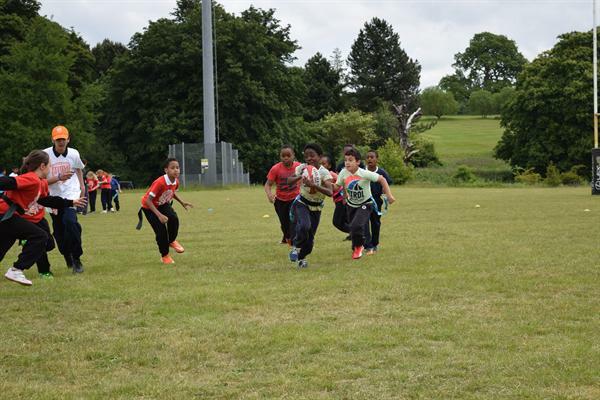 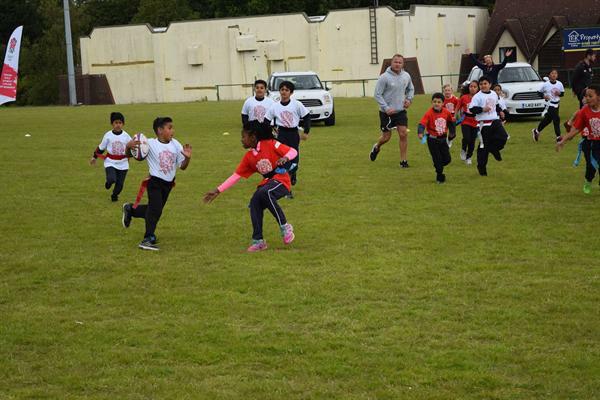 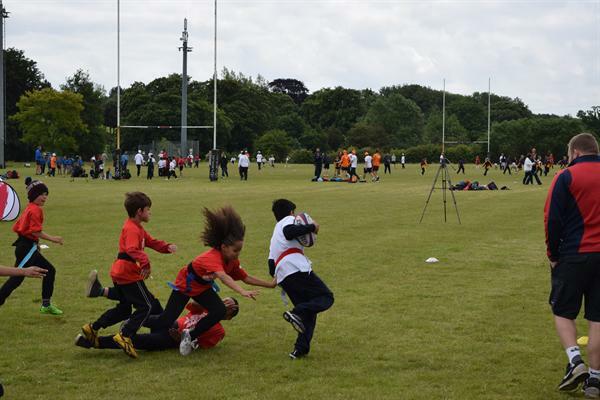 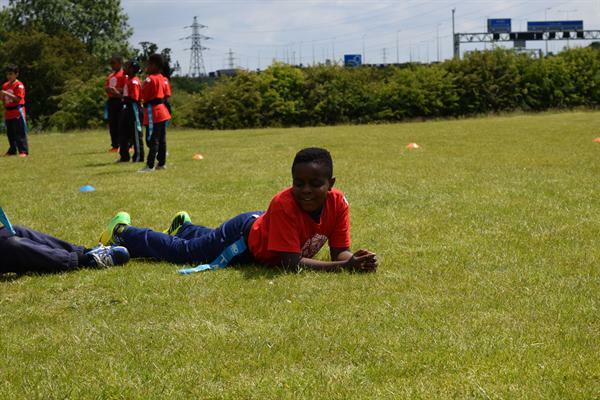 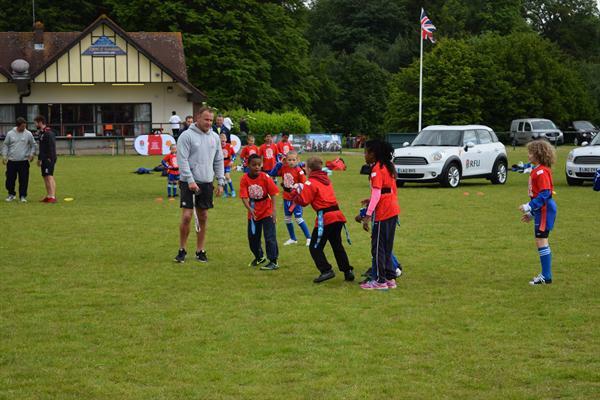 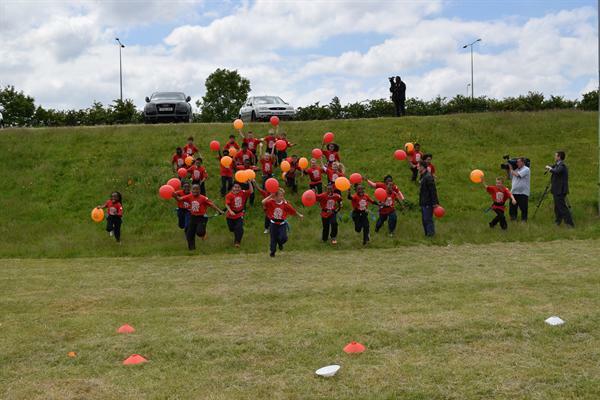 On Wednesday 10th June 29 children from Year 3 & 4 participated in a RFU World Record attempt for the largest number of children playing tag rugby. 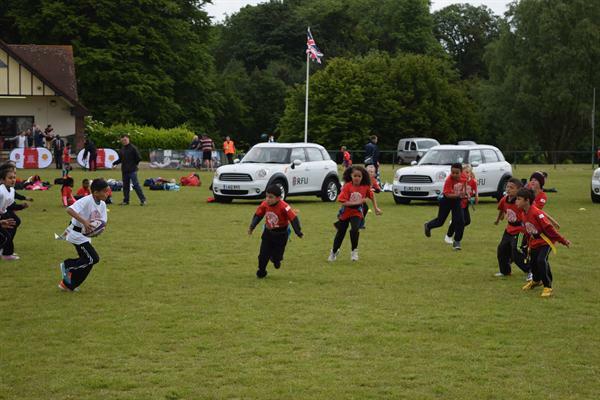 The event was planned to celebrate 100 days until the Rugby World Cup 2015 starts. 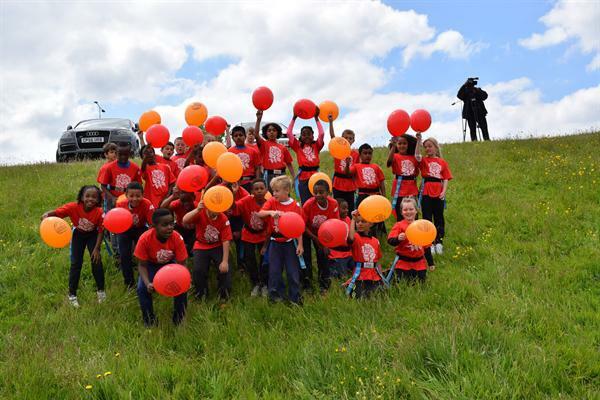 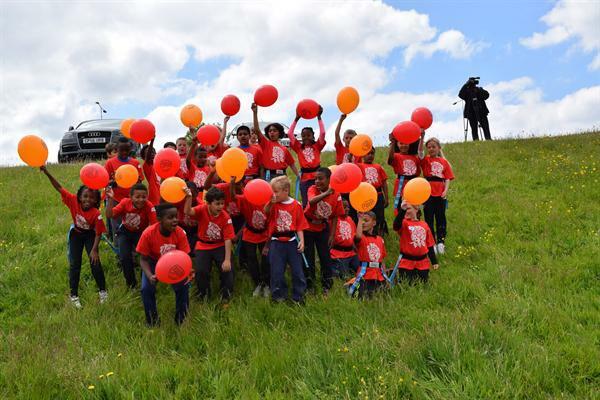 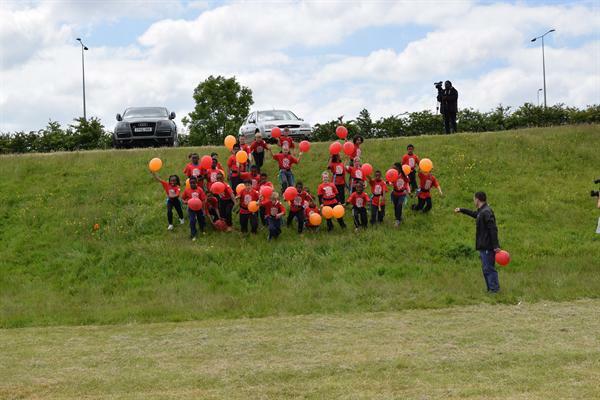 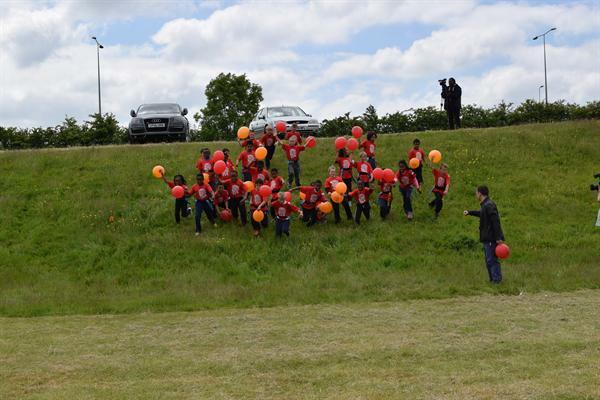 I am pleased to announce that the children played their part and are part of a World Record. 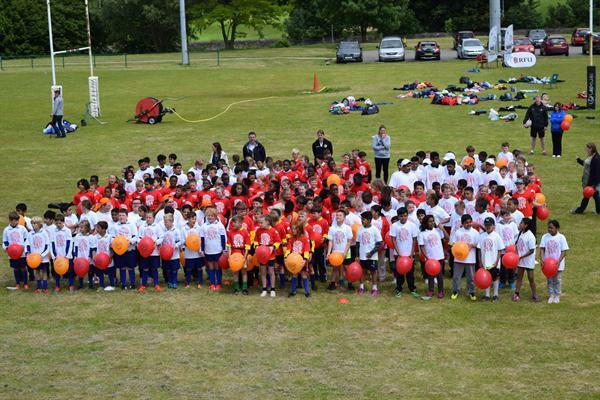 Well done to all the children who participated.